Raise your hand if you want to see Moses portrayed as an insurgent lunatic terrorist with a bad conscience, the pharaoh who sought the murder of all first-born Hebrew slaves as a nice and reasonable fellow, and God as a foul-tempered 11-year-old boy with an English accent. 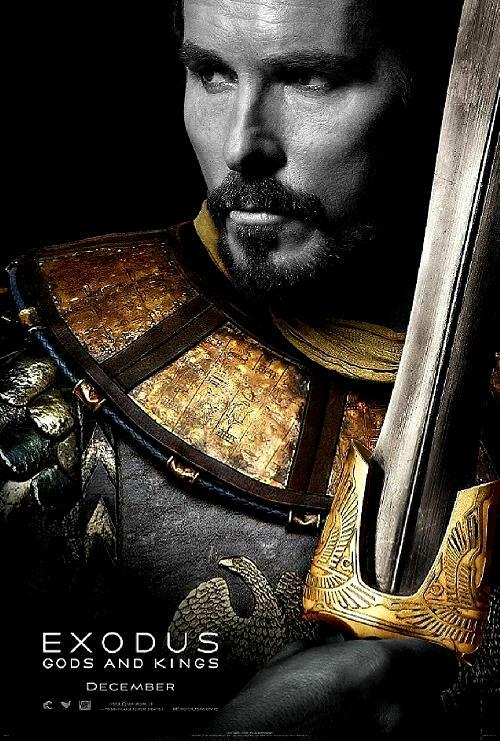 For one thing, Exodus: Gods and Kings is jaw-droppingly offensive in the way it bastardizes its source material. The God of Sh’mot, the second book of the Torah, manifests Himself in many ways—as the burning bush, as a cloud that follows the Hebrews on their journey, as rain and fire, even as a trumpet blast. But he most certainly does not manifest as a human being, since the incorporeality of the divine is a central feature of Jewish theology, the third of Maimonides’ 13 principles of faith. I know Jews make up only 2 percent of the U.S. population and are therefore not collectively a box-office consideration—but if you’re going to make a movie out of their holy book, shouldn’t you, I don’t know, be careful not to throw the holy book into the garbage can?